On Day 1, we invite Festival-goers to mingle and connect with old and new friends at the Networking Hour, get inspired and celebrate at the UN SDG Action Awards Ceremony and then join us at the Awards After Party as we keep the energy and momentum of the celebration going! On Day 2, join us for the SDG Procession as we walk together from the World Conference Center to the park along the Rhine. We’ll be leading the way with drumming groups and invite all participants to share their SDG energy for an evening of fun and music at the Rhine in Flames festival! During the Networking Hour, we invite Festival-goers to mingle and connect with old and new friends! Check out the exciting innovations and exhibits during this hour. Drinks and light nibbles will be served. As a new and exciting feature of this year’s Networking Hour, we are proud to have the Food Forever Experience! The Food Forever Experience is an international event series that gives a glimpse of the future of food. By working with innovative chefs to cook up delicious dishes using lesser known ingredients, the aim is to “plant the seed” for a more diverse, nutritious and sustainable future. During the Networking Hour, local and renowned chefs will be challenged to create delicious, diverse appetisers that you can taste! The dishes will incorporate a range of ingredients currently on the margins of our food system and of local importance in the region such as wild cornel cherry, walnuts from the Rhine valley, wild peach, sweet clover and more. While the tasting is based in Bonn during the Festival and features the talents of local chefs, the reach is global: We all eat three times a day. That’s three opportunities we have to decide which foods to consume, where to source them, and which establishments to support. The UN SDG Action Awards celebrate individuals, civil society organizations, local governments and others who are taking action to advance the 2030 Agenda across a range of categories. The awards celebrate the mobilizers, connectors, campaigners, visualizers, includers, creatives and storytellers, each of whom will be announced at the UN SDG Action Awards Ceremony, being held on the first evening of the event – Thursday 2 May. This exciting evening of recognition will feature inspiring presenters, showcase the incredible initiatives being led by awards finalists and winners and provide the platform for the latest SDG changemakers to take the stage and celebrate the incredible effort and achievement that has led them here. We invite all festival-goers to don evening attire or traditional dress, and feel part of a very special evening! Following the UN SDG Action Awards Ceremony, we invite all festival-goers to keep the energy and momentum of celebration going! As the ceremony commences, the party begins just outside the plenary room doors – the innovations zone will transform into a closed-door social event for the SDG Global Festival of Action community to connect, share stories and further those critical connections. A cash bar will be provided for drinks and light bites. As we close out the second day of the Festival, we invite all Festival-goers to join us for an evening of fun and music at the Rhine in Flames festival in the Rheinaue Park! To get us to the event, we will be organizing an SDG procession from the World Conference Center to the park along the Rhine. Just a 20 minute walk away, we’ll lead the way with drumming groups and invite all participants to share their SDG energy with the local community as part of this procession! Wear the color of your favorite SDG, don your SDG scarves, bring banners, costumes, props – let’s celebrate our action together as we make our way to the event! 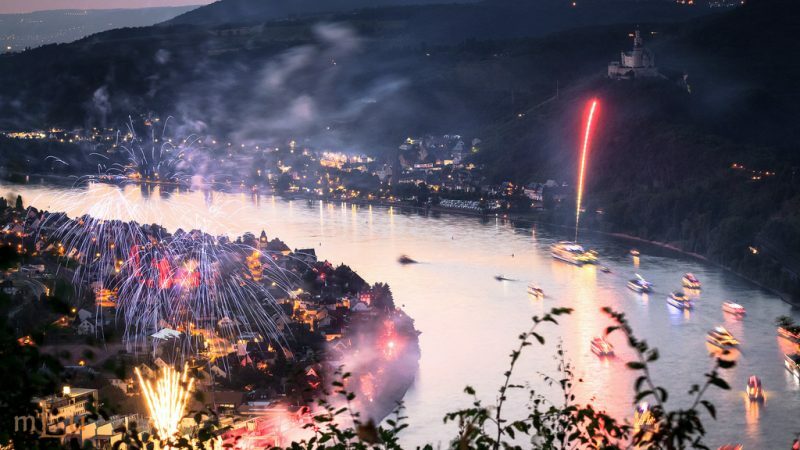 Five times a year the Rhine goes up in the flames, between May and September spectacular fireworks are ignited along different sections of the Middle Rhine, illuminating the river and its banks in a rainbow of colour. The cities along the river celebrate five riverbank festivals at different locations, each setting off fireworks until the events finally culminate in the crowning glory of a musically synchronized fireworks spectacle. This year’s SDG Global Festival of Action coincides with the Rhine in Flames music festival in Bonn, starting on Friday 3rd May (see lineup), and closing with a magnificent firework display on Saturday 4th May. As the local and regional communities gather for the music festival at the Rheinaue park, we will bring our global community to share in the festivities! Let’s spread the SDG message and enjoy and evening of food, drinks and music.